Hey guys. I hope you are enjoying the GTA V screenshots from August as much as we are. While we have a break, I just want to fill you in on what we have planned for future content and features plus get an idea of what you guys are looking for before and after Grand Theft Auto V releases. Obviously the Rockstar Games hype machine is gearing up for GTA V so juicy information will come to us more frequently in the next 6 months or so. A successful feature we've done twice already is a Frequently Asked Questions (FAQ) article to roundup burning questions from fans and hopefully bring informative answers to them. There are a lot of rumors and false information going around constantly so we try to deliver only factual or reasonable info - much in line with the rest of the website. Even with official information coming our way we will likely continue FAQ news articles to help separate real and fake information plus provide gaming tips once GTA V is released. A whole FAQ page is also likely in the future to help answer simple questions. 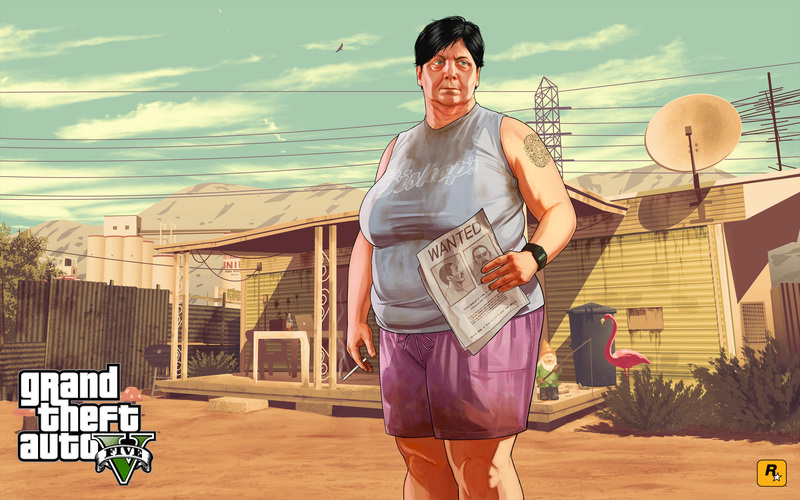 We have many Grand Theft Auto V information pages up already - most will continue to be updated - and we have a few more planned including gameplay features and a PC-specific info page in addition to the FAQ page mentioned above. I'm sure many of you have seen the "Guides" link top-right. Of course it isn't just for show. After GTA V releases we'll be busy getting guides out as soon as possible. It is certain that we will be updating them constantly to make them detailed but easily understandable to get the information you are looking for. It is something our network of sites has done for previous games in the GTA series as well as Red Dead Redemption and other Rockstar titles. After we get the guides straightened out we'll be breaking down everything there is to do in GTA V to reach 100% completion. Then we'll be putting together an interactive checklist for you to save your progress and see what's left to do. Some of you may have used the checklist at our GTA IV website, GTA4.tv. Following the 100% checklist, our GTA IV website also had a gamercard to show off your percentage. This is another feature we could add to this site. Once we get GTA V into our hands there will be no shortage of fans posting about the story or other things that are considered spoilers. The staff will be out in force to ensure spoilers are hidden or in an appropriate post-release forum section so those that haven't played or reached a certain point in the game yet will not have things spoiled for them. Interactive GTA 5 Maps: Similar to the iMaps at iGrandTheftAuto, you'd be able to place markers and type a small bit of info for them. Very useful to show someone what you are talking about and exactly where it is. GTA 5 Videos: Would video versions of news or other content appeal to you? Perhaps video guides too. Something we can try for. iGTA5 Mobile: Smartphones have come a long way since our preceding websites. I'm sure many of you are browsing our site from your phone. A mobile-friendly version of the website is possible to coincide with the mobile version of the forums. Let us know what you think of these ideas or other thoughts you have about the future of the site in the comments below or feel free to contact us via email. And while I have your attention, the GTA 5 Release Date Competition is still going strong plus don't forget to join the many discussions in the GTA 5 forums! Thanks for the support and look for more Grand Theft Auto V goodness soon! If someone wants to code an app for any/all devices they are more than welcome to. The idea for an app has been kicked around but it seems easier to just make a mobile-friendly version of the site rather than code apps for different OS. A app for windows phone. Video guides will certainly be a good feature. So many people use youtube for guides these days rather than actually read. iGTA5.com: Future Content and Features - The future is bright for iGTA5.com! Find out where we plan to go and post your opinions.